Friendly staff with reasonable prices. Kody worked with me to make a deal I was happy with. Both parts employees treat me great whenever I come in. Good staff, out to help you with your quad. Decided to purchase a 2017 Ranger 570 Full Size and was IN/OUT in less than an hour! Great experience and love the new toy. *Prices listed are the Manufacturer’s Suggested Retail Prices for base models. Options such as color are available at additional cost. Prices exclude tax, title, licensing, registration fees, destination charges, added accessories, and additional dealer charges, if any, and are subject to change. Polaris reimburses dealers for performing manufacturer-specified pre-delivery inspection and setup tasks. Dealer prices may vary. Have the best prices I have found for Polaris Parts. The customer service was outstanding. The staff and management bent over backwards to help me with my issues. Great turnaround time on parts that I ordered. I highly recommend this company. Roger and Kody are a great team. Both of them genuinely care about their customers. While they are busy, that's because once you buy a Polaris from them, you will enjoy going back time and time again! Don Wood Polaris is the best place to do business. Don Wood Polaris of Athens will have what you're looking for. or our vast selection of used Harley Davidson, Honda, Yamaha, Suzuki, Kawasaki, or other great motorcycle brands. 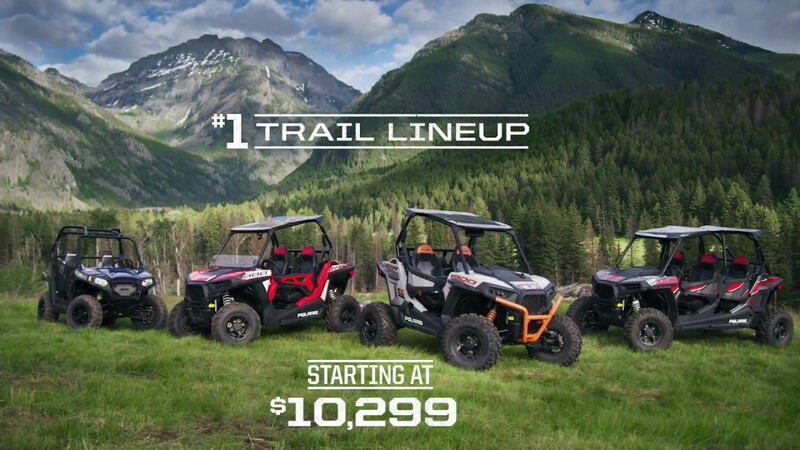 We can arrange convenient financing options, and meet your service needs with Polaris certified technicians. Discover what makes us stand out from the competition.